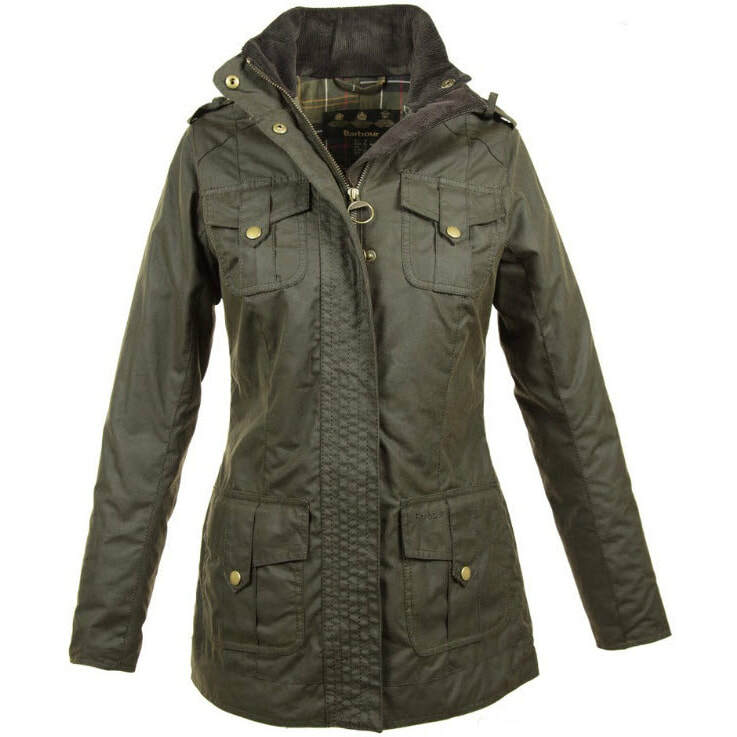 When the Duchess of Cambridge strolls through the lush gardens of Kensington, she loves to wear her Barbour waxed 'Defence' jacket. 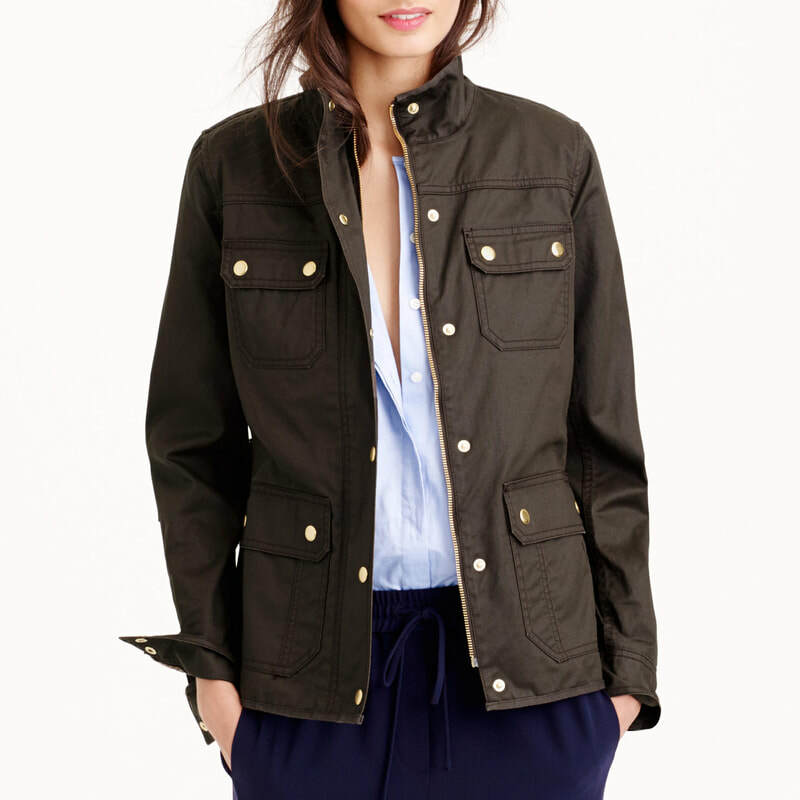 This military-inspired olive field jacket from Barbour, features front pocket styling and a waxed cotton exterior to shield from the elements. 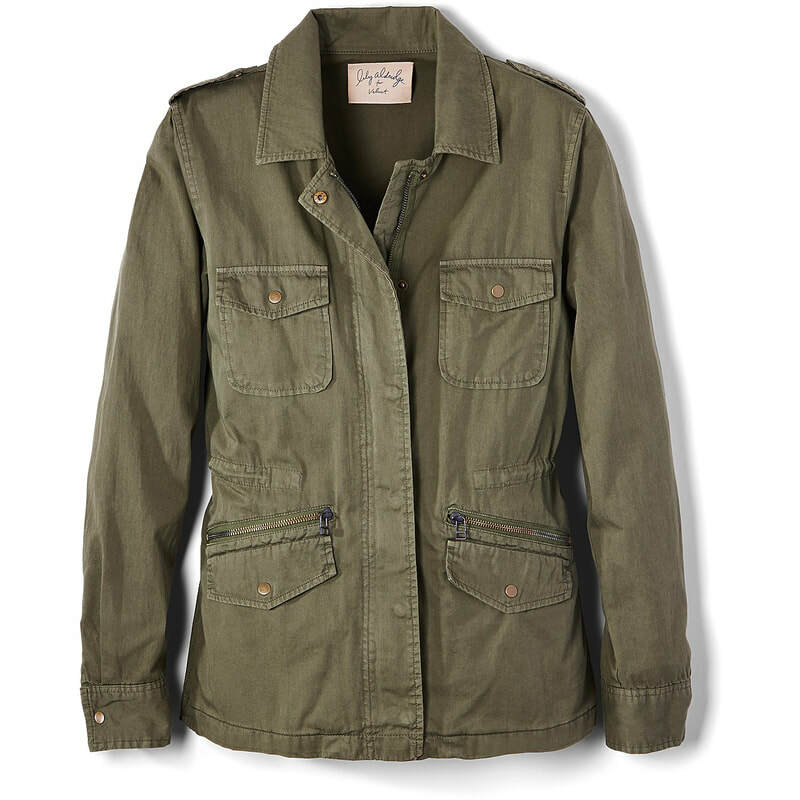 The side button tabs provide a feminine fit. 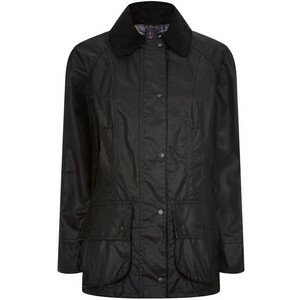 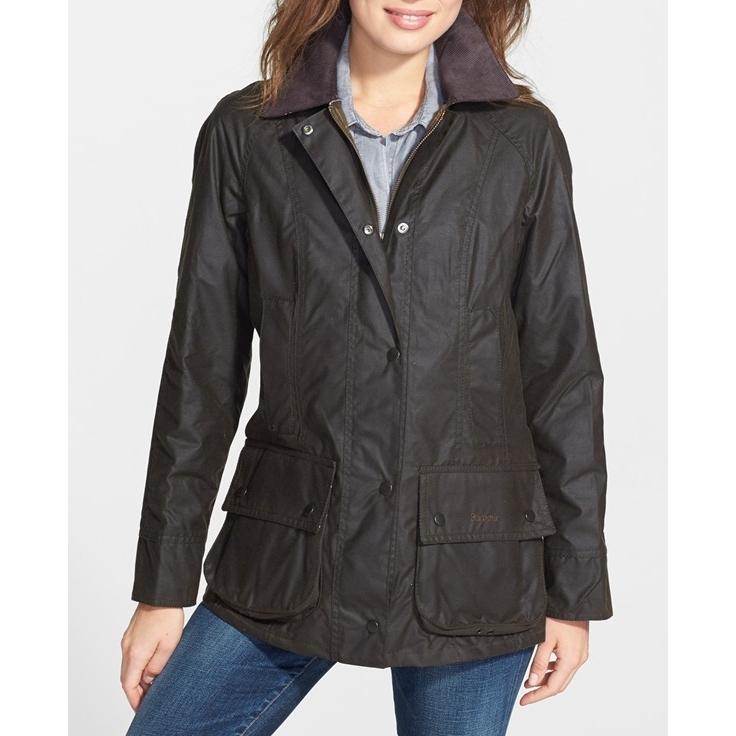 STYLE FILE: Barbour Ladies Waxed Defence Jacket as seen on Kate Middleton, The Duchess of Cambridge.